I'm drained, like a battery. But, I did a bit of juggling. I'm having a hard time when errors showed up. But, boy it was kept in a tavern, long time ago. So, expect it to be no updates, unused and rusty. what you learn. But, when an error showed up, I don't know what to do anymore. now only one left and it's easy. headaches and tiredness went to my arms. It seems I am using my arms in carrying big trunks. My heart palpitates and my eyes are drooping. 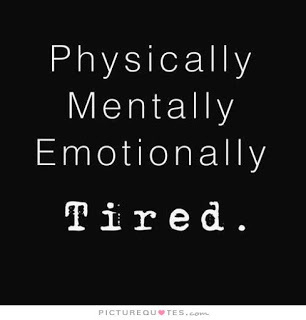 It is not emotional tiredness, isn't it? I am writing this after a successful fix. Yes! I had tired eyes and tired arms. But, it's really worth it. Now, I'll take a nap and be back soon!